Autumnal winds are blowing - which means that the cold, miserable weather is just around the corner. If you're like me, you will try to put winter off for as long as possible. Hold onto the last sanctuary of warmth and sunshine and don’t even consider the dark evenings and mornings yet. But really, there’s no point – it’s going to happen anyway so you may as well make things easier for yourself. While there is still some light after work, now is the time to do those little jobs that you have been putting off. The expression: fix the roof while the sun shines – as well as being a proverb, that’s good literal advice for any householder. It’s far more difficult to source new roof tiles once old ones have dislodged – for many roof tiles, there’s a three-month waiting list - so make sure they are all securely in place before Storm Mabel picks a few off! If you have fencing round your garden and gates too, don’t just leave them to chance. 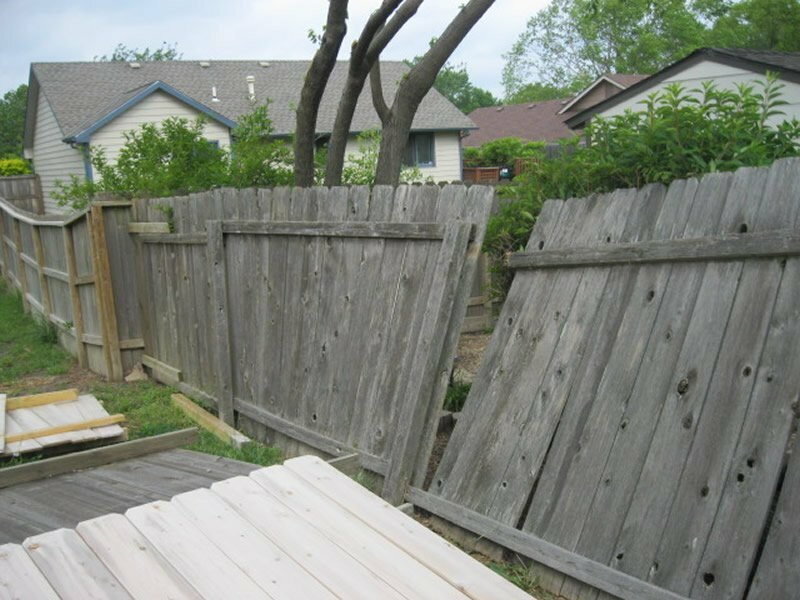 Make an effort to check each fence panel and gate post to be sure that they are stable and in place. If a fence it put up correctly, it should not blow down even in a robust gale. I have lived in my current house for seven years. Some of my garden fencing panels are out of sight so unless I make an effort to go out into the garden and look closely at them, I wouldn’t know if they were all loose or wonky. In fact, a couple of times some of my fencing panels have blown down, resulting in me having to rebuild them or buy new ones. Just a bit of effort now will pay dividends and save you more work later on when you just want to curl up by the fire. Again, with fence panels, you could be waiting for a few weeks for an exact match. Back to those high winds, and you need to think about what kind of damage they can do to your garden. Take a good look around you and put loose items away in sheds and garages. Nail things down before they get loose. This includes shed and outhouse roofs, bits of wood that may be hanging off and doors that don’t fit properly and could fly off in the thick of a violent storm. 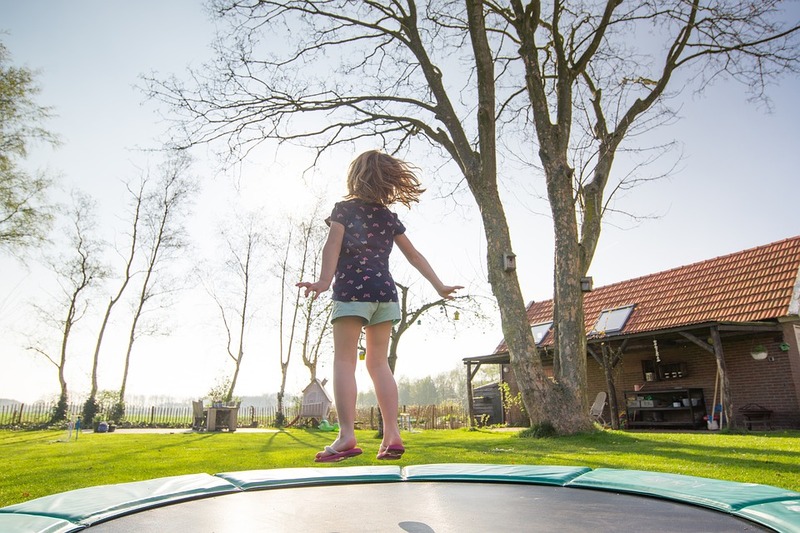 If you have children, don’t forget outdoor toys or any trampolines or kids’ slides and swings. I was once surprised by my neighbour’s large trampoline flying into my garden. They can cause a lot of damage if left unchecked. Some of these are large and cumbersome, but equally they could smash greenhouses and even windows. That wouldn’t be good for neighbourly relations. Since then I have made sure I have screwed our trampoline and other equipment to the ground. It’s always worth rechecking. What about your barbecue and outdoor seating – is that safe and secure? Does it need putting away or just bedding down for the winter with a protective cover to save it from weathering. If you have patios and paving slabs, get out your jet wash and give it a good clean. Dirty, greenish paving slabs become extremely slippery in damp and cold conditions. Don’t risk slipping over and hurting yourself. You also don’t want an injured postman or visitor on your conscience either. This pressure washer always does the job for me! Have any bushes, shrubs or trees got overhanging branches which could break or cause any accidents? We have tree cutting tools that could help and will also make your garden aspect look tidier. It will also prevent snapping under the heavy weight of any snowfall. But don’t just stop with examining your garden. When the winds blow and the rain pelts down hard, do you get any gusts or even water blowing inside? Look at cracks, particularly round door and window frames. These will all need to be sealed properly with suitable Silicone Sealants. One job I put off for too long was to seal the actual paint and stonework. When the rain was driving hard, it ended up coming in through one of my bedroom windows and sometimes above the back door. When all the bigger cracks and gaps were repaired, Thomson's Waterseal seems to have done the job! These jobs are not always your priority, but if you get it done now, it will save a lot of pain later on. That stitch in time really does save nine – and possibly more!